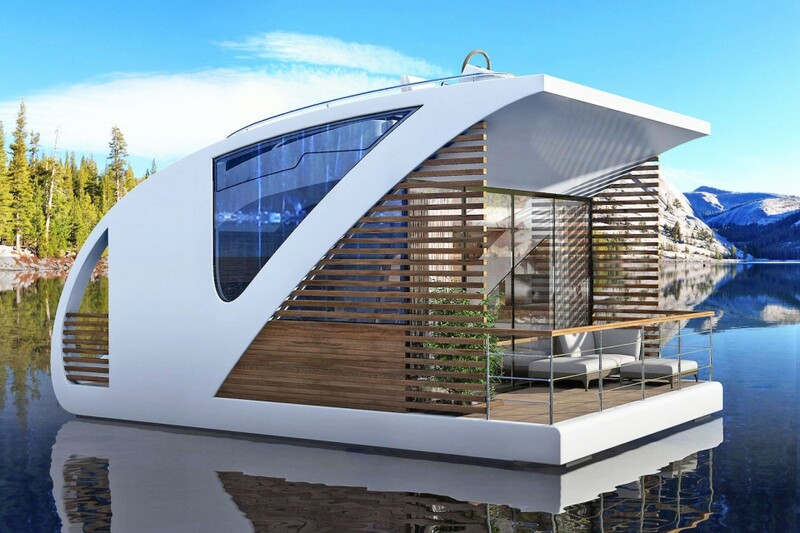 Combining centralized shared spaces like a conventional hotel and the mobility of a catamaran, this award-winning hybrid combines elements of community and seclusion on the water. 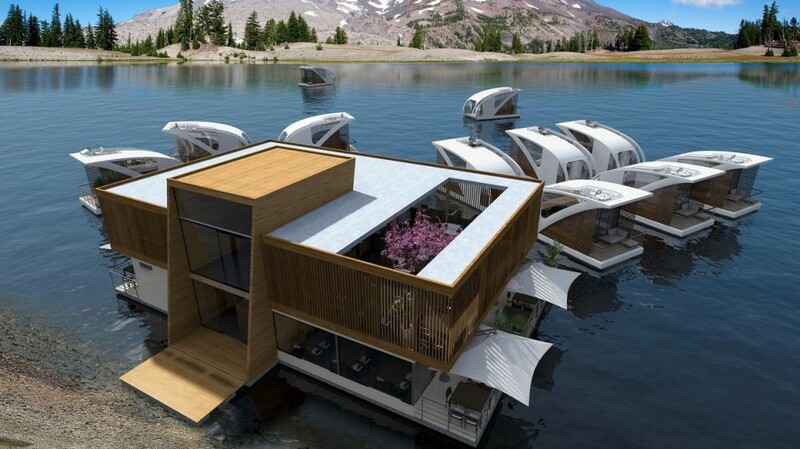 Each individual unit comes with a standard living room, kitchen, bathroom and sleeping loft as well as deck space and a driving area for taking your space around a lake or sea. Meanwhile, the lobby structure bridges the gap between land and water and provides reception, restaurant, event and cafe spaces. Design themes also create a connection between the modules and the whole, including wood slats and white surfaces. 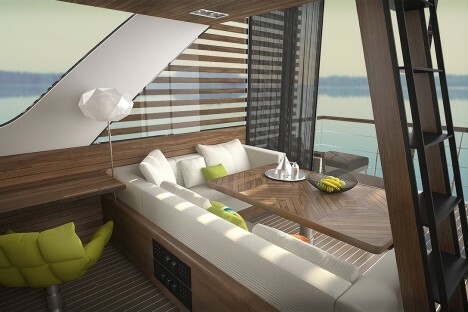 The rear-facing deck provides space for sunbathing and fishing, while also framing uninterrupted views of nature. Side and front windows can be closed off for privacy, or opened when venturing out on the open water with no nosy neighbors around to sneak peaks inside. 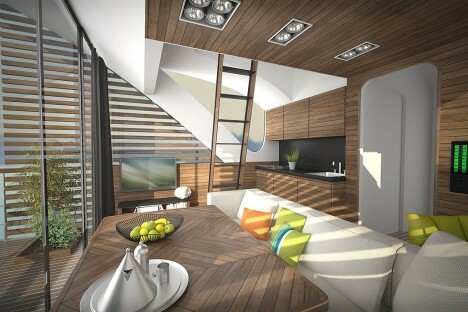 Designed by Salt & Water, the approach won a 2015 Millennium Yacht Design Awards for innovatively integrating architectural and nautical systems to create a unique experience for guests. 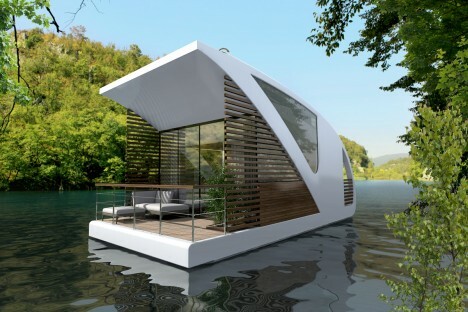 Like the Botel, this remains a conceptual design for now, but clearly something is in the water since firms keep coming back to this novel combination of ideas.